Radiant in floor heat is consistent and even. The warmth stays where you are. Less energy is required which means lower operating costs. More design freedom - no vents to work around. Objects are heated, not air. Allergens and dust remain undisturbed. Fuel options include gas, propane and electric. Great with geothermal heat pumps, too! 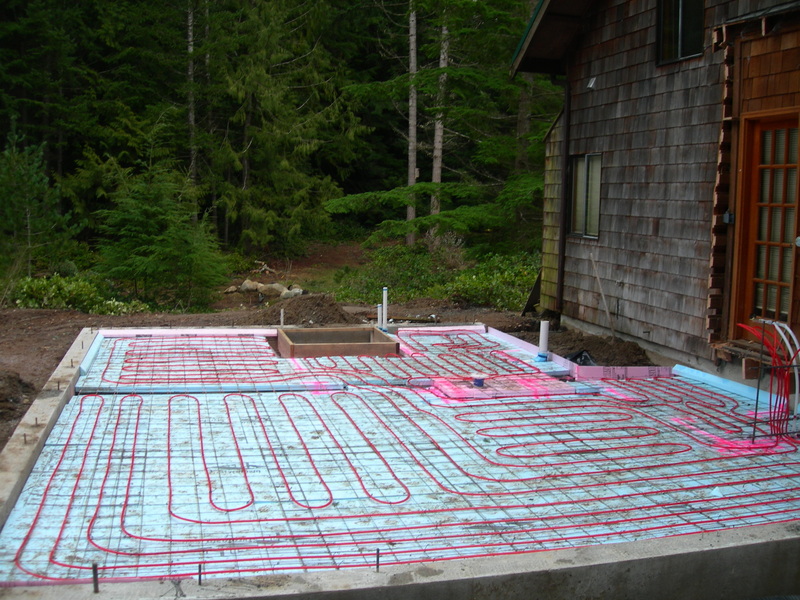 At the Janes Company, we truly believe that radiant heat is the ultimate heating solution. 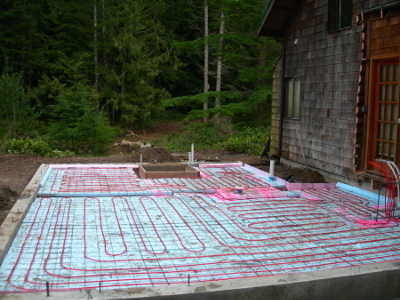 But that's not enough for us; we want to offer the best quality and service in radiant heat. Our team works hard to made sure we are your experts in the Puget sound area and beyond. You can't see it but you know it's there. 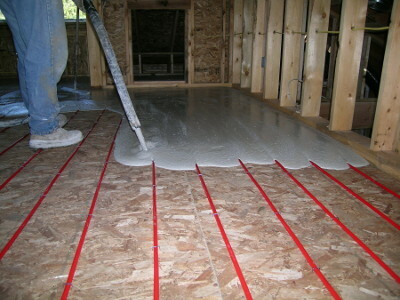 Radiant floor heat is a system of tubing that is installed out of view, underneath the floor of your home or building. Hot water silently runs through these tubes to heat the room, literally from the ground up. The heat from the water radiates warmth through objects - flooring, furniture and even people. Less energy is needed to transfer the heat, resulting in energy savings of up to 40%. What's different about radiant heat is that objects are heated so the warmth stays where you are and doesn't rise to the ceiling out of comfort range as with typical forced air heating systems. Your "space" is more evenly warmed, without the fluctuating hot and cold spots, swirling dust or allergens. The comfort of in-floor heating is always with you, silent and consistent. In-floor heating is a sound investment in your home in more ways than one, adding unique features to the value of your home. It provides more than just heat, it provides comfort! 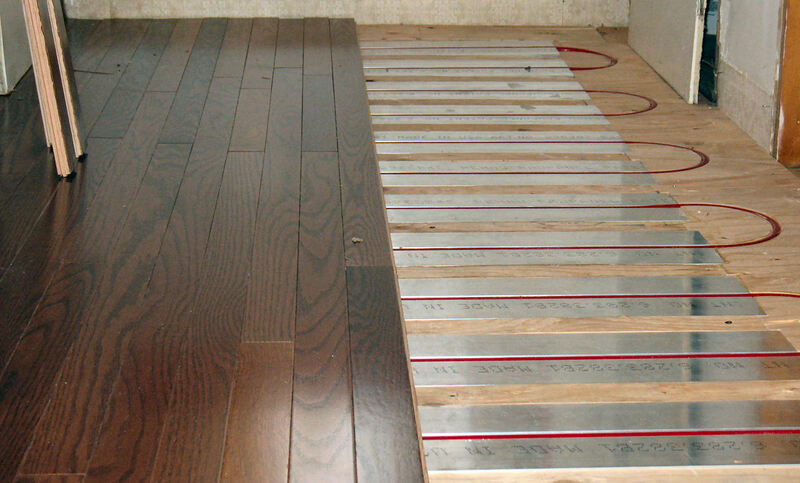 With the climate that often faces the Puget Sound area, comfort and warmth are important aspects and our team has been happy to make sure both homes and commercial buildings are providing this comfortable experience through radiant floor installation. Most heating systems circulate warm air to distribute the heat. 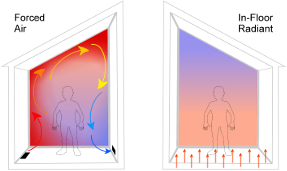 Because warm air rises to the ceiling, then has to cool before falling back down to our level, these types of systems overall have to run longer to provide warmth to the space. This costs more and uses more energy to operate. With In-Floor radiant heat, the heat starts at the ground level and radiates directly into people, objects and furniture within the space, conductively warming the entire space and not just the air within. This allows for overall lower thermostat settings and provides the highest levels of comfort while saving money on heating bills and costs. The cozy warmth from in-floor heat provides more comfort than other heating systems. Most people who have lived with or experienced in-floor radiant heat report that radiant floor heat is the most comfortable heating system. Studies have shown that the highest levels of comfort are achieved by matching the body's natural heat loss. 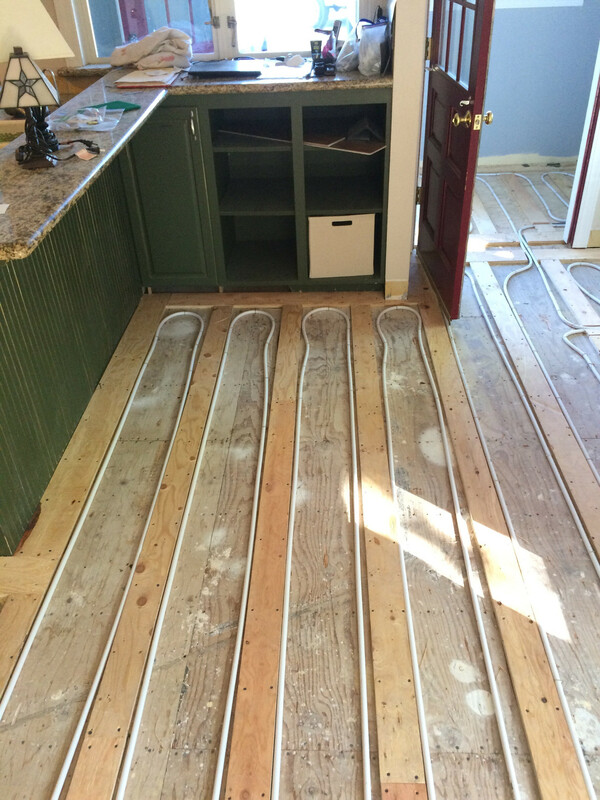 Radiant heating delivers the heat down low where it is needed most. By turning the entire floor surface area into a radiator, heat is supplied to the space as efficiently and evenly as possible. 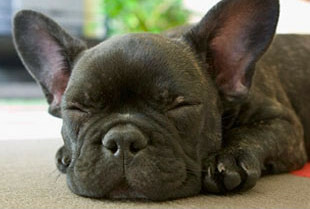 When it comes right down to it, In-floor heating is doggone cozy. Comfortable and warm not just for people, but for pets too. Given the opportunity to work with clients all around the Puget sound area, our expert team here at the Janes Company is experienced in the best methods and techniques of installing radiant heat. There are two distinct ways to install a radiant heating system. The first is in the floor itself, the other under the subfloor between the joists. 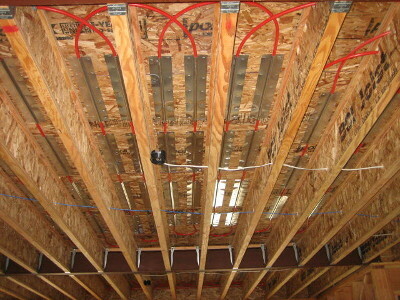 Tubing is installed over rigid insulation before the concrete slab is poured. Tubing would be tied off to rebar or wire mesh or in some cases stapled directly to the rigid insulation. This provides an efficient high-mass installation. Tubing is stapled down over the plywood subfloor and would then be covered by a thin pour of light weight gypsum cement. This provides an efficient high-mass installation. 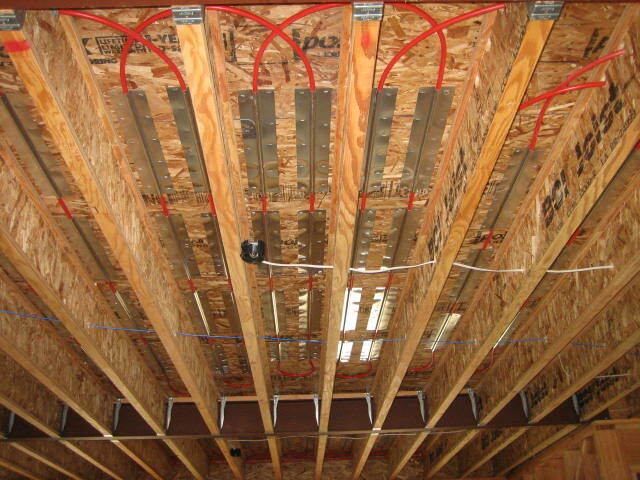 Panel systems are for installation over both existing concrete and wood subfloors. 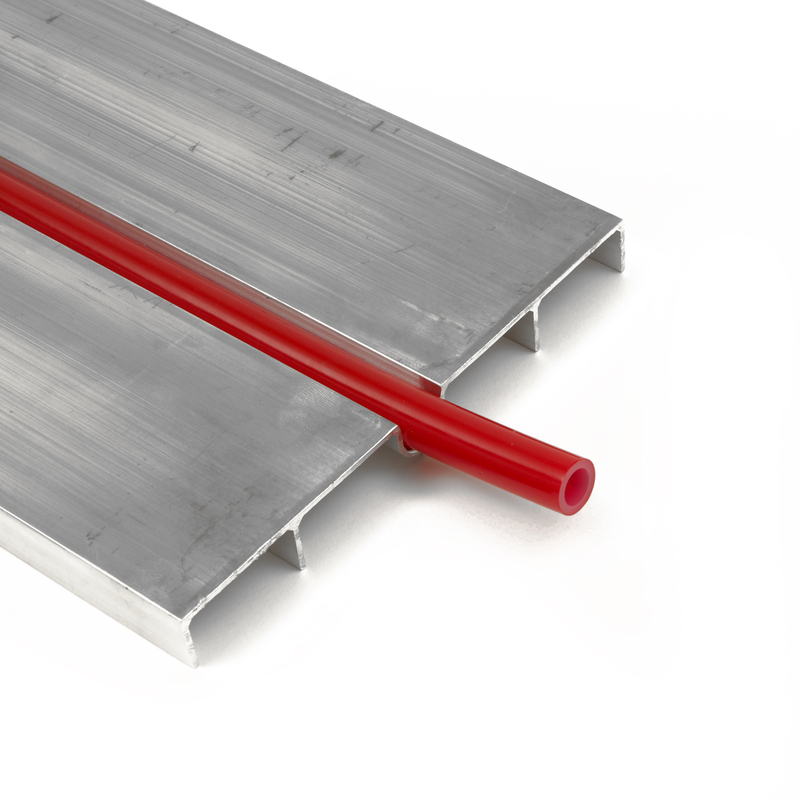 The panel systems are pre-engineered and have channels in the aluminum transfer plates where the tubing snaps into place. Floor coverings are then installed over the panel system. 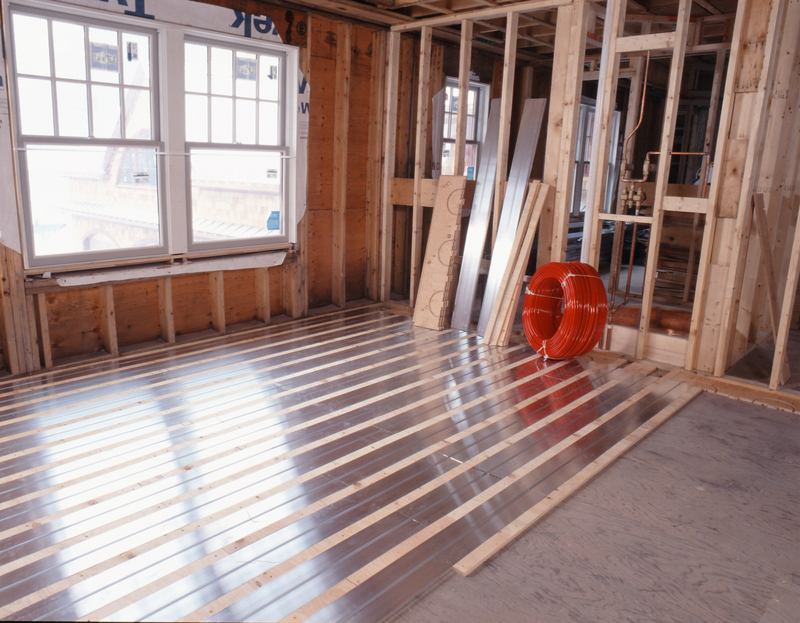 Tubing is stapled to the bottom of the subfloor using aluminum heat transfer plates. The plates add to the efficiency and response of the installation. Insulation is then installed under the tubing to help drive the heat upwards. 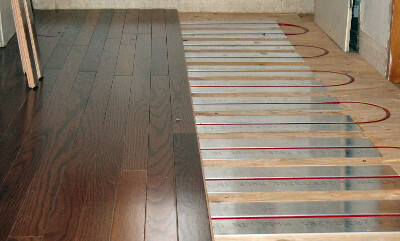 Plywood is cut down to provide wooden furring strips that are installed over the subfloor. Tubing is then installed between the sleepers and floor coverings are then installed directly over the sleepers and tubing. The Janes Company also provides easy, comprehensive, custom do-it-yourself kits for small projects, additions and remodels. Visit our "Do-It-Yourself" companion website JanesRadiant.com for a wealth of additional information on do-it-yourself kits.